Friday Moon moves into Aries. Mercury (R) novile Saturn says you can learn a useful new skill by paying (very) close attention to details. The energy shifts, formerly open windows close, and this day tends to be more about “cleanup” (and followup, if needed) from earlier this week. You can “get things done,” but you should focus on following up on the things you focused upon earlier this week, particularly on Wednesday. 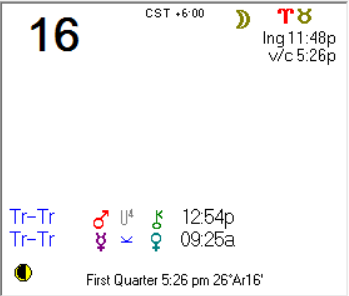 Sun trines North Node, so the day can have a very “karmic” feel to it.